Mobile Application Development was once an underrated branch of the information Technology Industry. As the years pass and the technological advancements happen intensely, Application Development is now its own industry since it was a hit and demanded need for a bigger manpower. Some schools around the world even created a whole bachelor program for Mobile Application Developing to encourage young people to take this track as it assures better opportunity in the future. As it becomes more and more whole, developing applications answers to the daily need of mobile assistance among people. There are top applications that have been a success because of it being an answer to user satisfaction. Here are some of the most successful applications today. Supercell, the Developers of this game, was formed in 2010 with all the founders’ goal is to create great games that people will enjoy playing for years. From there they started to incorporate less bureaucracy in their small team of passionate people. And because of this organizational environment, they started creating timeless and classic games that will stand the test of time, which resulted to the success of establishing a company. It is very important for a company to have each employee on the same level of passion, so every deliverable from every one is made on its maximum potential. And an unbiased organizational system will encourage more creativity and productivity out of the employees. Clash of Clans gets almost 27, 000 downloads per day and has over $400,00 daily revenue, which is pretty big for a game application; and is still a top hit today. This game has taken over the world with its user-friendly controls and easy-to-understand mechanics. As Clash of Clans gains success and became widely known, Supercell develops variation of this game, which is the Clash Royale. Clash Royale gained as much popularity and success of the Clash of Clans because of its sense of familiarity. Hay Day and Boom Beach are also developed by Supercell, which makes them own 3 of the highest grossing mobile games of all time, which makes supercell a very promising application development company. Supercell has only two things commonly incorporated in all their successful games, and these are the whole appeal of the game and its quality in terms of control and user interface. 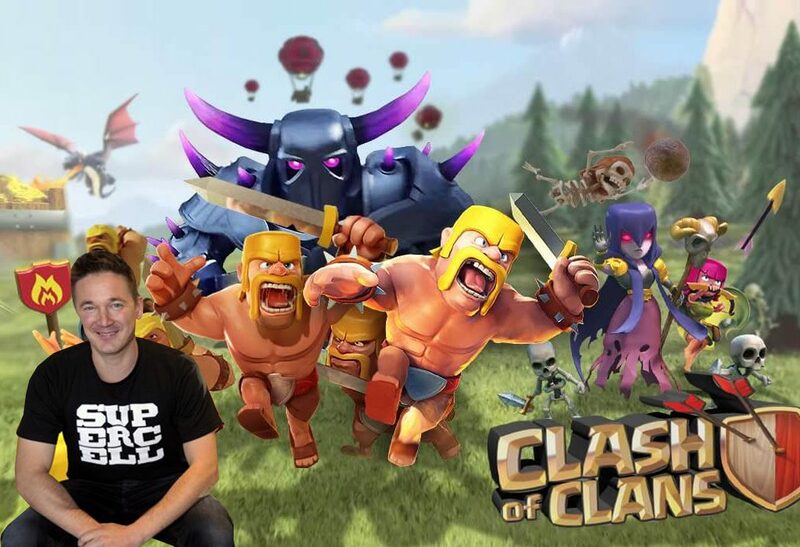 If you are interested in making successful game application development, playing and knowing Clash of Clans and its Developer, Supercell, will be a great start. Application Development takes a lot of research, conceptualization, marketing, designing and teamwork. It will not be easy, especially at first, but as you create concepts from the heart with people with the same passion as you have, everything will eventually fall on its place.